The following instructions assume that you are using CentOS/RHEL or Ubuntu/Debian based Linux distribution. OpenVPN is a cost-effective, lightweight SSL VPN. Another option is to try out tinc that uses tunneling and encryption to create a secure private network between hosts on the Internet or private insecure LAN. 12. How Do I Verify No Accounts Have Empty Passwords? Modern Linux distros with systemd use the systemctl command for the same purpose. Top 32 Nmap Command Examples For Sys/Network Admins for more info. Use iptables to close open ports or stop all unwanted network services using above service and chkconfig commands. # yum group remove "GNOME Desktop"
# yum group remove "KDE Plasma Workspaces"
# yum group remove "Server with GUI"
# yum group remove "MATE Desktop"
Use shorewall on CentOS/RHEL or Ubuntu/Debian Linux based server to secure your system. Linux IPv6 Firewall configuration and scripts are and available here. See Common Linux log files names and usage for more info. Secure your Linux desktop and SSH login using two factor Google authenticator. It is a good practice to deploy any integrity checking software before system goes online in a production environment. If possible install AIDE software before the system is connected to any network. AIDE is a host-based intrusion detection system (HIDS) it can monitor and analyses the internals of a computing system. I recommended that you install and use rkhunter root kit detection software too. Once done, users can not quickly copy sensitive data to USB devices or install malware/viruses or backdoor on your Linux based system. You must install and enable mod_security on RHEL/CentOS server. It is recommended that you edit php.ini and secure it too. Full disk encryption is a must for securing data, and is supported by most Linux distributions. See how to encrypting harddisk using LUKS on Linux. Make sure swap is also encrypted. Require a password to edit bootloader. Make sure root mail is forwarded to an account you check. How to look for Rootkits on Linux based server. How to Enable ExecShield Buffer Overflows Protection on Linux based server. Excellent article! Thanks for posting this. Robert, Can you confirm which one of the 2 is best for users authentication? LDAP or Active Directory? Let me know..
LDAP is just a data store for users or groups – you usually need Kerberos or something similar to authenticate a user against entities in LDAP. Active directory does both of these in a arguably nicely integrated way – you could have Linux servers/workstations be enrolled into AD but it’s a case of your mileage may vary .. typically you’d stand up LDAP, Kerberos, etc services yourself. This is a good 3 part series for ldap, kerberos, and nfs to get you started. Hi, can you explain a bit, how the mileage would get affected, i mean symptoms where from i can identify lagging issues. Also if i would configure samba 4 as a domain controller with active directory admin pack installed for a single domain. is it worth it?? Very useful indeed. Thanks a lot! Though i am an active user in your forum, i never posted a comment on your blog.. but this post really tempted me to comment. the post really rocks man.. Most of the things new to me..
#10 – Disable X-Windows. I think you meant to say edit /etc/inittab and set to run level 3 not 5. Great article! Thanks for sharing! Bookmarked and Dugg. It was a typo on my part. Runlevel 5 is for X and 3 is text based full network mode under CentOS / RHEL / Fedora etc. I’m not surprised that SSH is #1, but I am a little puzzled that there’s no mention of key-only authentication… or denyhosts, if password access is a requirement. I’m personally skeptical about password aging – strength requirements are important, but strong passwords don’t get weaker over time. Please see (#18 SSH ) – a direct link Top 20 OpenSSH Server Best Security Practices. I usually don’t comment on blogs, but this post deserves it…great article! Thank you for sharing…. Your articles always have something special to read. Thanks for sharing. Great work as always Vivek. I actually stronglt disagree with 6.1 and 6.2. 6.2 Especially. Here’s why (from experience as an IT manager).. Suppose you put 6.0 (which I agree with), 6.1, and 6.2 in place and set the age of a password for 30 days. Then the user is forced to learn a new password. After another 30 days they are forced to change but by this time the user is starting to forget the passwords because they are changing and can not reuse an old one. So, Mr User writes it on a sticky note and puts it where he can read it, right on his monitor. See where I’m going with this? This will happen time and time again which creates more of a compromise to security and defeats the purpose. There could just be an amendment to those sections advising admins to hold regular security meetings and actively, physically walk around and check for this sort of thing. If a user gets to keep his/her same password for as long as they want, they are going to use that password on each and every site/mail account/etc they have. Once the “bad guy” has that password, first name dot last name or first initial dot last name isn’t too hard to figure out. Another note here is to use the AllowUser directive in the sshd_config file. This is awesome, thanks for posting this for us newbies. Q: if I remove Xwindows. can I still VNC and get an Xwindows display ? 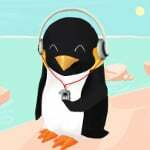 Sir, how to remove / disable “Linux Single” ? I mention so many times to clients that they should set up and use SELinux in mission critical secure situations and they constantly ignore it. It should be used without question in installations where you want and need an extremely hardened system. Wait….I thought Linux was secure by default? tested until now, chances that some bad traffic will cause a buffer overflow is very low. I see someone’s trying to be smart again. Not so much. #1.1 Removing xinetd would disable my git:// offering. #13 And leads to “oops, now your partition is full”. Been there done that, threw it out. Only /home remains separate. #14 PEBKAC is not a justification to turn it off. #20 Truecrypt is a joke (has its own crypto implemention, its own VFAT implementation, and is limited to VFAT even) when you have dm-crypt at hand which has: a well-tested-and-known crypto impl, can use all the well-tested filesystems Linux offers, etc. This article great one and very useful for all sysadmins.One again gr8 article. >#1.1 Removing xinetd would disable my git:// offering. Use your common sense and keep required services. Not really, how hard is to run xen under Linux? Really? You run X windows on all servers? You are just wasting your resources. I do not see vm.vdso_enabled under CentOS, may be it is part of latest kernel or 3rd party. >#13 And leads to â€œoops, now your partition is fullâ€. Been there done that, threw it out. Only /home remains separate. You need to use LVM2. Agreed. I never used Truecrypt, but Wikipedia pages gives pretty good information about security. I disagree with the #7 disable root login. I agree that root logins should be disabled for things like ssh, forcing users to login using their credentials. Howerver I think sudo makes a box less secure. If an account gets compromised and they have sudo access for root level work, all the attacker has to do is type sudo whatever and away they go. With having requiring them to su to root, you’re adding defense in depth. They might compromise bob’s account, but now they have to work harder to get into root. I think sudo is great for 1 off commands but as a hardening system it leaves a lot to be desired. That’s based on a limited understanding of sudoku .. Sudo requires you set it up properly to make security matter while also delegating privileges in a controlled fashion – you don’t share your root password amongst all the non-sysadmins who require elevation, do you? if you set sudo up so that users are only allowed to invoke a subset of commands as root then an attacker can’t just “sudo” and “away they go” .. for e.g. we have developers who push out changes to code and require services to be restarted – in that case, the only command they can run under sudo is ‘/sbin/service’ (and we do have sudo locked down further so they can only restart specific whitelisted services) – every other use of sudo is prohibited and logged (and the latter is how you monitor attempts). 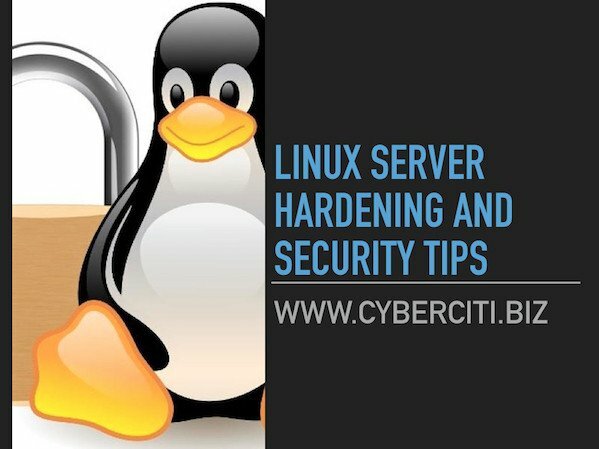 Lots of good information on hardening Linux. How about /etc/security/limits.conf and friends to control other security aspects of the Linux? to clarify sudo is great for one off commands on personal computers, but not that great for production servers. >Not really, how hard is to run xen under Linux? For real? It’s harder than running vmware, vbox, qemu/kvm. Because for a start you need an appropriate xen kernel. Friend, you always give greats articles to all we! Your article, it has been very important to i can build a more secure system! I am from Brazil, and i am student in the Science Computer! But, your level of knowledge is very high! Lots of good stuff, Thank you so much! I made a script to harden server and install all necessary things using all of you good guys advise. I’ve heard both sides of the root login/su debate. Personally I don’t like using sudo. I generally use set up a rather long root password and change it every other month or so. I agree with chris j that it adds another layer especially if you set up ssh etc correctly to disable root logins and such. Of course, I don’t run any large servers so my experience most likely isn’t as large as some of the posters here. >>Not really, how hard is to run xen under Linux? >For real? Itâ€™s harder than running vmware, vbox, qemu/kvm. Because for a start you need >an appropriate xen kernel. Most of these tips are pretty much ubiquitous. Secure passwords (e.g. those found outside of hacker dictionaries), and mod_security or something similar for your webserver are truly key. When confronted with a linux/UNIX machine, hackers will first try to penetrate among common username/passwords and scan for vulnerabilities in common web applications. Prevent it before it occurs. If you can, setup public-key auth for all SSH related crap. If you’re using lighttpd, look for mod_security like rules. Anyways, one cannot implement all since each environment is different. Also surprised to not see a file intrusion detection system up. Also, securing your machine isn’t enough, you want to keep at least daily backups. If you host your server and become a victim of being hacked. Don’t expect it to stop there, they will use your machine as a zombie/bot to attack other machines. The ISP will shut your machine down, and you will have even a difficult time getting back to your data. Make backups frequently and off-site. Data is truly of value, the machine it runs on isn’t. OVZkernel share kernel with its host and other vps operating systems. So you will not able to use all MIBs or iptables features. thanks a lot linux guru …………………..great info……………..thanks guru………….. Thanks for the mass of information! Thanks alot for UBER tips…. Thanks Mr. Vivek, from Nixcraft to Cyberciti you keep them coming. Any tips on FAQs on SNMP. Baby steps please..
Not very useful for real production servers. Real servers (like the dozens I work with) are administered by 1-2 people accessing directly as root from local network (that includes vpn access), not from the internet side. No need to eat your brain thinking and thinking about sudo, passwords, blah blah. Ah, btw… automatic updates can only break your working system 🙂 The rest, is just common sense. You can’t learn linux only by applying rules you read on a web page… you learn linux after years, and maybe only then. please do inform me via e-mail regardig such security issues. fantastic work!…maximum info with minimum words…great!! 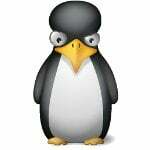 Whatever happened to Bastille Linux. Doesn’t seem to be maintained anymore. Keep the tips coming, I am learning lots of good sys admin here. Could we have a post here for step by step configuration of LDAP (Centralized Authentication Service). And the usage. Cool! 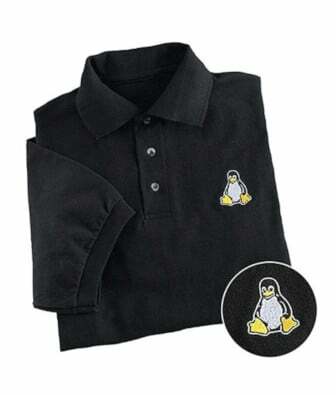 It will help a lot, especially to novice linux users that will make them look expert, as well as for newbies. Thanks so much!! More power! Excellent article, however with the need for IPv6 fast approaching, telling users to disable it is like telling us to bury our heads in the sand. I’ve seen this advice all over the internet, and it will very soon be not such a good idea. I would suggest that instead of telling users to disable IPv6, let’s start learning about it, creating tools to deal with it and get our hands dirty using it. @Ruben. Even if you only can access SSH from your lan, you should still disable root login. Just login using your own SSH key and become root (su). Also limit the users that can become root (wheel users). So before someone can login root, he (or she) first have to crack two user accounts. But disable root login helps also with the physical security. About some other points. Passwords should not expire if you enforce strong passwords. The trouble is that users can only remember only so many passwords, so if thay have to change password frequently, they’re gonna use the same password at other places. In 2002 I had to strengthen the security for an e-commerce company. They kept the clear customer passwords in a database. You wouldn’t believe how many email logins and passwords work. BTW: Passwords should be stored as hashes. Sending an email with a link to change the password is not different from a email that shows you the passwords. However, a comprised database is dangerous. If I wanted it to, I could have read a lot of emails and collect even more sensitive data like registration mails from websites that show you your password..
SE-Linux should be a standard installed with every Linux distribution. It makes it a bit harder to exploits bugs in code. That’s also valuable on workstations. Most companies only secure the front door. If you break a window, you can go anywhere in the building. Hack a workstation and often you can access everything within the LAN. IPv6 should be disabled if you don’t have an IPv6 IP or services. If you have, you have to secure just like you secure an IPv4 network. I already use IPv6 within every LAN I install. The main router (gateway) has an IPv6 bridge to my data center (which is IPv6 enabled) and from there they can connect to both IPv6 networks or IPv4 networks. There is a slight wording mistake in #1: Encrypt Data Communication, section 3 “Fugu is a graphical frontend to the commandline Secure File Transfer application (SFTP)”. The acronym SFTP is misleading. SFTP is the “SSH file transfer protocol”, “Secure FTP” is something very different (http://en.wikipedia.org/wiki/FTP_over_SSH#FTP_over_SSH_.28not_SFTP.29). Secure FTP encrypts only the control channel , the data channel stays unencrypted. SFTP is not the SSH file transfer… Whuuat?? Two different animals dude.. Authur had it right..
Perhaps you are referring to FTP/S instead? That is not SFTP. ANswer.. Get rid of the end user and hire someone who can remember a password..
Best practice is 60 or 90 day, 14 characters minimum, and complexity requiring minimum of – 1 upper, 1 lower, 1 alpha, 1 symbol, 1 numeric. Is it convienent? No… DO passwords get weaker with time? YEs..
Its a best practice… As yourself this.. If you are sued.. yes.. lawsuit.. What will you tell the prosecuting atty. when he asks if you used complexity requirements and changes on passwords? All the attorney of the guy suing you has to prove is negligence.. Because so many passwords have been compromised.. you not enforcing it could be cionsidered negligence and could be a fatal loss to the suit..
Really a very good and concise article that is informative and addresses various security issues. Thank you for writing and posting this article. Well written! Wow. Great great great article! Nice round up of some common server hardening techniques. While not specific to the server, I would add having a web application firewall, e.g. mod security or something similar. According to SANS, most exploits these days happen via web applications. Even with these tips (SELinux excepted), attackers can often setup shell kits, spam bots or similar tools. Also, never just rely on the hardening. Using something like Nessus to audit the server. With a professional feed, you can actually audit against a variety of policies, such as the Center for Internet Security guidelines. just what i was looking for. thanks for the info. If you get rid of the end user who cannot remember password, you will fire 99% of people in your company. Not a very good idea? Everybody are using yellow stickers, excel files etc. There is so many passwords to rember, most of for absolutely pointless accounts, which nobody cares. Really nice article. Also, i really the comments too. Tried #12 Kernel/sysctl hardening, but ‘sysctl -p’ comes up with “error: ‘kernel.exec-shield’ is unknown key” on Ubuntu 10.04.1 LTS as well as Mint 9 KDE. Any ideas? * For ssh disable password authentication, using public keys (on authorized_keys) is safer. * Don’t disable IPv6, learn about it, use it, promote it. * Limit the maximum number of connections with a firewall, using iptables and ip6tables. 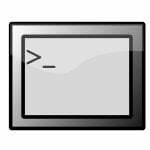 Great Article very help full for Unix admins..
Great site. Always find it useful in times of need. I reviewed the comments and nobody seems to be bothered by one little fact… Hackers are not Crackers… It’s kinda disappointing to read such a “confusion” on a Unix dedicated site. Not only it is not a confusion, but it is “clarified”, openly associating and presenting the word “cracker” as a synonym for “Hacker”. Sudo is crap for security period except leaving an audit trail… which any user with sudo access can get rid of trivially. Lets say you have 5 admins each who needs root level access. With sudo that means each user’s password is another potential compromise of root level privileges. There are things you can do to help with that like using rootpw or disabling the ability to get a true shell with sudo but this breaks much of sudos functionality. Sudo is very good at offering a false sense of security and accountability of LEGITIMATE users. It does very little for non-legitimate users. Admins with passwords ? Get them to use SSH keys and do away with passwords completely – we’re in which century now?. Then set up 2 factor auth and only allow SSH from client trusted machines/networks. The argument that limiting sudo to a subset of commands offers a false sense of security is ridiculous – it’s exactly the point. if the number of commands that are available under sudo is low – yes, functionality takes a hit but the surface area for abuse is narrowed – and that’s a good thing. Yes, set sudoku up – take the hit and then address functionality that is broken and engineer solutions to them from a better/secure starting point (you’ll find that most of the things that were broken were badly written or don’t really need addressing). perfect. I was searching how to disable the root access. I love this site. I can’t believe I didn’t find it sooner. I switched from shared web hosting to vps web hosting and I love it. Well, Christopher… I think if, God forbid, the user account is compromised then you can simply login as root and delete it, along with it’s ~/ directory. But if you disable root access… I guess you’d have to reinstall the OS. Also, setting the “noexec” flag in fstab is a very smart move. Especially for data partitions (why would you wanna run binaries from a data partition anyway ? Programs should have no business there). I thought this flag also applied for scripts. Hmmm…. Hi Sir, Am fan to your article.. Really these are very excellent sessions.. we never get this from any other books.. Really Am so happy and we are improving our confidential levels by following your articles.. One small request, Why dont you keep an article on Solaris server issues.. Because now a days, both unix and linux are growing popular across the world.. And so many administrators are working in dual modes (LINUX and UNIX) . So, if the send an article based on linux and unix(solaris) then, so many administrators feel much better.. I have been trying to implement OpenLDAP server in CentOS5.4 for the past 10 months. But, till i haven’t implemented. I studied and gathered so many books and articles.. even though am not succeeded. So, could you send openldap server configuration article in CentOS5. Then i can follow your help to complete the task..And i need exactly what is ldap ? why for Ldap? where to Implement ldap ? debian apt-get may break system if cannot use /tmp. Tmp may be set noexec, nosuid, etc. not confirmed and demonstrated and fully tested. sorry. send browser message as IE Internet Explorer. Fantastic Article !! Very useful one. Just another one of those valuable well written article. Thank you vivek for sharing this with the rest of us. Thanks for the gr8 info. need to know which file we need to edit or how we can set password rules in redhat such as “password should include alphanumeric,special characters,numbers etc. I want to show appreciation to this writer just for bailing me out of this type of issue. Right after searching throughout the world wide web and finding ways which were not helpful, I believed my life was gone. Living without the approaches to the difficulties you have fixed by means of your entire blog post is a crucial case, and those that would have in a negative way damaged my career if I hadn’t encountered your web blog. Your ability and kindness in maneuvering all the details was crucial. I’m not sure what I would have done if I hadn’t come across such a subject like this. It’s possible to at this time relish my future. Thank you very much for the reliable and amazing guide. I won’t be reluctant to refer your web blog to anyone who needs guidelines about this topic. Sites with thousands of servers and understaffed admins can’t possibly do all of this, and even on smaller sites with only a few dozen boxes, there needs to be some focus on which of these offer the best bang for the amount of time spent. #1: Encryption – This is good, but the suggestion to remove xinetd wholesale is generally bad, ideally use chef to only enable xinetd where needed. #3: One service one box – This is a good goal, much more achievable in the virtualization era. Exceptions can be made, particularly with lightweight internal services. #6: Password policy – Largely you have to do this, auditors expect it. I share the concerns about rotation leading to sickies on monitors, but I know I won’t win that argument with auditors. #7: Disable root login – Yes, remote root needs to be disabled to prevent non-reputability, I actually agree here. #9: Disable services – Very good. Do this. Highly likely that unneeded and unmaintained services lead to actual security compromise. #10: Disable X11 – Yep, unneeded on servers generally, don’t install. Some software installation requires it, which is annoying and you’ll need to make exceptions for on limited case-by-case basis. #11: Sysctl hardening – Good and reasonably cheap. Use chef. #15: Disable unwanted SUIDs and SGIDs – I agree, time well spent, reduces attack surface. #17: Logging and Auditing – Past some point this just becomes using a loghost with enough disk to retain logs, and the noise level becomes insane. I wouldn’t spend too much time watching all the logs all the time, although its nice if you’ve got a junior admin with enough free time to watch for events. In PCI situations you have to not only watch this, but respond and it becomes mandatory. #4: Kernel upgrades – This is expensive in time, but worthwhile. #11: Iptables/TCPwrappers – If #9 is done correctly and you’ve got a good corporate border firewall, this is not necessary and can lead to headaches. This is almost in my “do not bother” list, but if you *dont* have a firewall and you’ve just got servers hanging out in the breeze on EC2 this becomes more necessary. #2: Removing/auditing RPMs – This became laughable to me a decade ago, nearly a complete waste of time. #13: Seperate Partitions for Everything – Oh, FFS, I have a job to do. Complete waste of my time. #19: IDS – Also mostly a source of noise. I suggest using fail2ban to automate iptables blocking in response to attacks, which does something useful (e.g. ssh attacks actually chew up your cpu, and fail2ban gets that back). #20: Encryption of files – largely a waste of time within the enterprise, other than *very* targetted systems that are high-value targets. Just get your account management right. And yes, I wrote that in all CAPS for a reason. That should be policy #0 that comes before all else. Well , one forgot about 8080 , port needed in some apps like ISPConfig or whatever. Put firefox using socksV5 127.0.0.1 and voila ! , of course ,port number can vary ! Let Mysql as default to listen only 127.0.0.1 ,enforce apache with mod_security and mod_evasive,check website folders not to be 777,and if using wordpress look for a good firewall or go write yourself a decent one to prevent sql injection. And keep it in mind ,everything made by humans will be cracked by humans , it is just a matter of time ! One more thing we need to consider as a security treat, some softwares have default UserID and Password like phpmyadmin and other softwares, after installation of this kind of softwareâ€™s we need to take care of userID and Password. Thanks a lot for your work and information to all of us…..
Really nice glance on linux securities.. Thanks a lot. Its very useful. What about setting up a catch-all mailbox for all the root email on your servers? root’s email does not normally get read on a lot of sites. Reading one mailbox is better than logging into every server to check status. I love you, Vivek. You save me everytime I have issues or questions. You make me look like an elite linux user and server admin. Thank you so much for your hard work and please do keep on keeping on. Donâ€™t forget GRSec patch for Kernel, mod_security for Apache and suhosin patch for PHP. Great read! Thanks for taking the time to put this out there. Everything in one place and so neat…Thanks for sharing such a useful info…Thanks in tons…. Hey thanks for writing up an article on securing server. Today I had a lot of hacking on my vps server and I couldn’t access any of the sites. Anyway, I had to go in and kill apache via ssh and had to switch it off for 12 hours until the hacking went away. I later realised that my wordpress sites were getting a whacked via the login path. Your article is great – thanks for sharing. Thanks I needed this for a new server project that we have..
Great Info, I will now apply it on my new project file Server. #13 is especially important when you consider the flaws of chroot (and any error that allows a user to chroot that is not root). But I’ll leave that to each administrator … (I know there is something about this subject though but I cannot remember exactly what it is about/for. It is a complete manual about security issues, from RedHat …, that has it). #1: the root vs sudo debate is entirely based on ignorance. the idea that “if the user is compromised, all they have to do is sudo” is simply wrong. the exact same thing applys to the root user, if they are compromised, yet minus the sudo. what sudo offers is the ability to resrict said user (with proper confuration), to specific subsets of functionality within the server. moreover, the administrative user should have a complex user name, along side a password. this means that the would-be attacker needs to brute force both a username, and a password. this decreases the likelyhood for success exponentially. finally, the sudo user should be combined with something like Two-Factor Authentication. this makes said user incredibly difficult to succumb to an attack. #3 Intrusion Detection or Prevention Software is of CRITICAL importance. to claim that these things add to the “noise” is just an excuse, and lazyness, on the side of the system administrator. IDS software essentially takes the place of all those people who used to monitor forensic logging components. the idea is to create an automous system and security blanket that detects emerging threats, responds to events in real time, and alerts system administrators based on policy and threshold. combined with remote logging, this can be done with fairly low over head, and can be maintained with fairly low overhead. the ideal IDS is a combination of a generic firewall policy, file integrity checksum database software, brute force detection software, web and application firewall software, and automatic log file analysis software. this system should be able to manipulate the firewall to respond to immediate threats. and once this system is tuned for a specific use case scenario, it should be generate almost NO “noise” for the system administrator. in fact, it should lessen any noise generated by a constant barrage of botnets and rouge hosts (that which constantly probe any system). one must make note: fail2ban is NOT intrusion detection or prevention software. it may be used as part of the over all security CHAIN… but does not cover all the essential bases. furthermore, it’s used mostly as a set-it and forget-it tool. and in this state, is only useful for brute force attacks. nothing more. and only reacts against a small number of predefined patterns. #4 Firewall Rulesets are another CRITICAL component of any security audit. its inherently unethical for any system administrator to ignore this. after your system wide policy is defined, a generic rule set can be created to defend against generic attacks. this rule set should use split horizon like topology to ensure a back door is always available to the system administrator, and to ensure that server-to-server channels are only accessable to desirable system. a basic incoming connection ruleset helps protect against malicious malware from listening for connections in the user-space high port range. and each user should be restricted using the “owner” module available in linux, so that they are only allowed to connect out to a predefined set of servers, and on a predefined set of ports. another great feature is to ratelimit or set quotas for SYN packets going out per-user. all this helps deter malicious scripts from connecting back to a command and control center, from downloading counterparts to malware, and helps prevents the machine from participating in denial of service attacks. 5#. Auditing the software on your distributed network is essential. we are after all depending on a open source network of programmers, and security is intended… but often times realized as an afterthought. its not all that difficult to purge packages not in use. anybody who thinks this is irrelevant negates the understanding of just how a compromise is usually acheived. where this becomes much more relevant however, is when you are activley running server software or services that have not been compiled with the latest kernel hardening features. i can guarantee that a large majority of production servers are running software without these features compiled in. settings kernel flags becomes a MOOT POINT if the software it self has not been compiled to USE THEM! this often means compiling and installing software from a more security wise, or up to date repository. sometimes it means recompiling the software on your own. 7# encryption of files IS important. however, this is usually over-thought. typically, it would make the most sense to encrypt things like: back up partitions. off-site storage. physical back up devices. system administrator /home volumes. anything with SENSITIVE information. just because it is time consuming doesn’t mean you should void the process. again, please refrain from laziness. just re-think the process. there is no need to encrypt EVERYTHING, just the IMPORTANT things. moreover, automatic encryped file systems (using tools like encfs) makes this incredibly easy. there is NO excuse. #8 refrain from laziness. it will be your undoing. oh and #9: the MYTH that Chroot is insecure… is just that. a MYTH. the Chroot is only as secure as the system administrator defines it. there is a reason why it is built in as a core security feature and principal of SSH, Apache, Dovecot, Sendmail, Postfix, Bind, OpenVPN, and just about any other software that allows outside user interaction with internal system functionality. if you think that they have implemented faulty secure mechanisms in the base system of our linux operating systems… you are wrong. the rules are simple: do not run any services in chroot as Root. do not run any services inside the chroot which are running under the same user outside the chroot. if possible, seperate each service into its own chroot. use namespaces to virtualize /tmp and /var/tmp in order to inhibit race conditions. do not mount unessecary devices or filesystems. if you do mount a device or filesystem, ensure its permissions are set to “as restrictive as possible”. only include nessecary applications and libraries. find a way to keep these up to date. if you cant keep them up to date easily, then hardlink or bind mount them. audit all setuid/setguid bit applications. clean up dangling symlinks. use a minimal copy of /etc/passwd and /etc/group. and so on an so forth. why are these rules “simple”? because most of the are the same rules you should be enforcing on the BASE system. your BASE system security is just as important as your chroot security. chroot is NOT a replacement for an overall audit. chroot is still relevent in a wide range of use case scenarios. so do not be afraid to use it. the MYTH that you can easily break out of a chroot is also just that. a MYTH. security is only effective when used in LAYERS, and file system virtualization of any kind is a very essential layer to any security solution. YES, chroot was invented for a totally different purpose. but so was a whole wack of things in life. over time it has evolved to suit a plethora of different purposes, including for layering security. in fact, chroot led to namespaces, which led to virtualization. you can think of openvz as Chroot on steroids. this may be over simplifying it, but it does not effect my point. Why is it that the chroot system call (see chroot(2) ) will give an unprivileged user the error EPERM (ie permission denied) ? Sort of like why is it that chown has similar restrictions. Of course, there’s more than one thing that can prevent chroot from working, but that’s not really relevant (if anything it makes the point more relevant, consider that a paradox if you want). 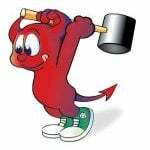 FreeBSD’s jail syscall is stronger as is noted in the Linux man page for chroot. So it isn’t a myth any more than being logged in as root for anything beyond what absolutely must be done as root, is a bad idea. Don’t have time to read the rest (only by chance saw your response to #6) but you’re absolutely correct: technology evolves and that is a good thing indeed. Still, there is a reason chroot is restricted (just like chown). Instead of number #2 try jailing it’s a more appropriate technique. #20 talks about TrueCrypt but that software is not supported anymore. Will there be an updated one for CentOS 7.x and RHEL 7.x ? Thanks great tips for my CentOS 6.8 server. I am using to secure my CentOS 6 server. Very good guide. I love this awesome tutorial. thanks you!!! Can you update it for CentOS 7? Pretty please!!! Another useful security measure is to protect SSH with two-factor authentication. You can use the Google authenticator. It can be easily installed and configured. Thanks for all the good stuff you provide us ! I noticed within the sentence “Read your logs using logwatch or logcheck” le link on logwatch keywork redirect to a 404 page. Do you have any updated link for that ?